Creating Value From Sorbent Minerals. Oil-Dri was founded in 1941 as a distributor of clay floor absorbents and now develops, manufactures and markets products for the consumer, industrial, automotive, agricultural and fluids purification markets. Oil-Dri has an innovative research and development programme that has resulted in the introduction of a variety of highly effective sorbent materials developed from our extensive mineral reserves across North America. Oil-Dri controls attapulgite and montmorillinite mineral reserves that have been used for thousands of years. The earliest references to Fuller's Earth, a common name for some of these clays, appears in the Bible. In this reference, fullers, who worked with sheep's wool, used these clays to remove natural oils from the wool. 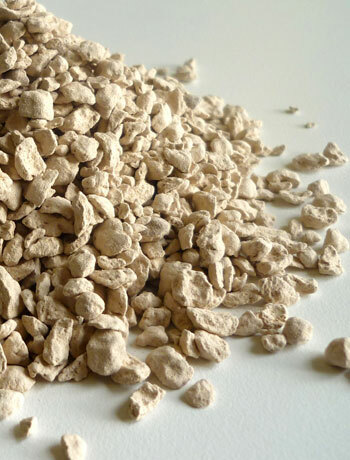 Manufacturing processes and technical advancements have been used to enhance the natural characteristics of these clay minerals and develop products that leverage both their absorbent qualities, soaking up liquids into their many pores like a sponge; and their adsorbent qualities, active sites on the surface which attract and lock up impurities. We run an extensive research and development programme from our laboratory campus in Illinois and have seven manufacturing facilities in North America as well as our plant in Wisbech, Cambridgeshire.